Visitors from Europe and North America will be familiar with paying 35 Euros (US $40) per person for a good sirloin steak. The La Cholita Restaurant in Recoleta is a local favourite where you can enjoy a large Argentinian steak to share for 100 Peso's including drinks, which amounts to just 10 Euros or 12 US Dollars. Copyright © Go To Travel Guides Visitors from Europe and North America will be familiar with paying 35 Euros (US $40) per person for a good sirloin steak. 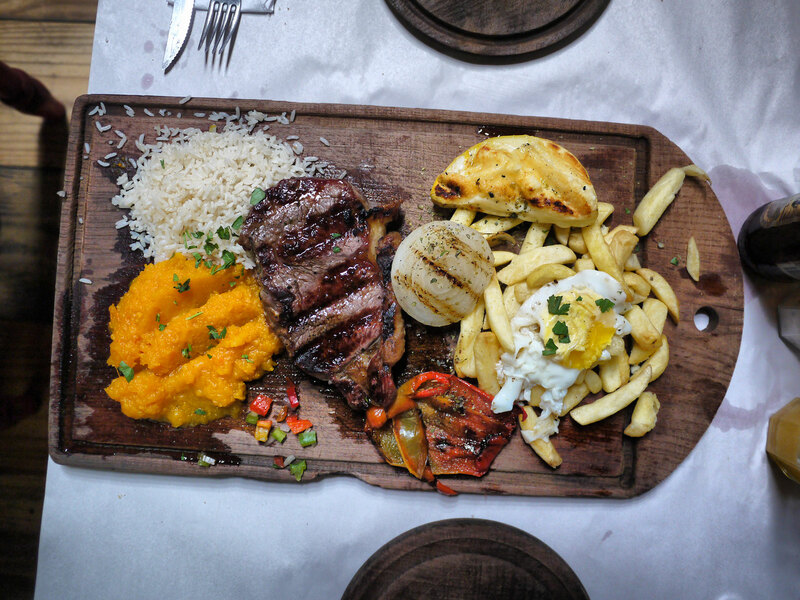 The La Cholita Restaurant in Recoleta is a local favourite where you can enjoy a large Argentinian steak to share for 100 Peso's including drinks, which amounts to just 10 Euros or 12 US Dollars.